UAE aluminium smelter Emirates Global Aluminium PJSC (EGA) is one big step closer to alumina production over this week’s successful completion and commissioning of the first major section of its alumina refinery now under construction at Al Taweelah. Per a press release by the firm, the calcination section’s 1,700 instruments and over 100 motors have been thoroughly tested and is production ready, making it the first of four major sections of the refinery to be prepared for production. Commissioning of the section took place earlier this week, and was attended by representatives from EGA, the section’s main contractor Outotec of Finland, and Finnish Ambassador Riita Swan. Abdulla Kalban, Managing Director and Chief Executive Officer of EGA, greeted the milestone as one of major significance in his firm’s journey to begin refining alumina. 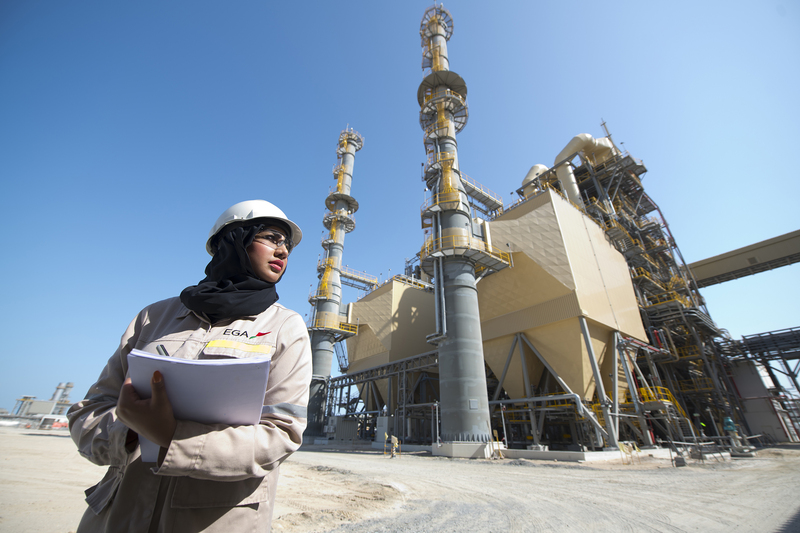 The calcination section is the first part of the US$3.3 billion refinery to be made ready for production. Upon full production next year, the site is expected to produce about 2 million metric tons of aluminium per annum, satisfying 40 percent of the country’s alumina needs. The twin calciners installed by Outotec at the site can produce up to 3,500 metric tons of alumina per day.